These are the Android apps that help you better manage your money. They help you track your spending, keep tabs on your bank accounts and even set goals. Budgeting and money management apps help you stay on top of your finances — in real time. If you are interested in investing, you can take advantage of Android apps that allow you to monitor your accounts and track your portfolio. 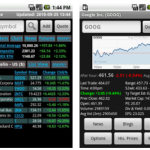 Some apps even help you execute trades right from your mobile phone. Stock Quote: Get real time information about stocks, and track your portfolio. Those who are trying to reduce their debt can make use of Android applications to help them set goals — and track progress. Get ideas for reducing debt and keep track of when you reach certain debt milestones. Key Ring: This is a great place to store your cards — including your rewards credit cards. 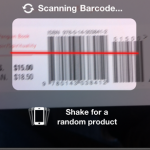 Then you just have to have the cashier scan the barcode. Sometimes you have to conduct business with the help of your Android phone. This is especially true if you have a side gig, or a full-on home business. Technology is helping many people increase their income, and the following Android apps can help you stay on top of things. PayPal Mobile for Android: A great way to invoice others and get paid. A great business finance app. 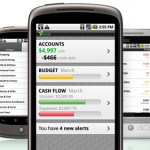 Many financial institutions offer Android applications now. 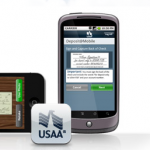 These applications are designed specifically to help you do your banking on the go. You can check balances, schedule transfers, pay bills and even, in some cases, make deposits, from your cell phone. 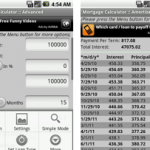 For the frugal among us, there are Android applications that can help you save more of your hard earned cash. These apps will help you compare prices while you are shopping, or they will help you store coupons and find other promotions. Great resources for those who are into pinching their pennies and getting the most out of every dollar.